We don't get much fog here in Kansas. I have to go to Minnesota to see and experience most of the time. 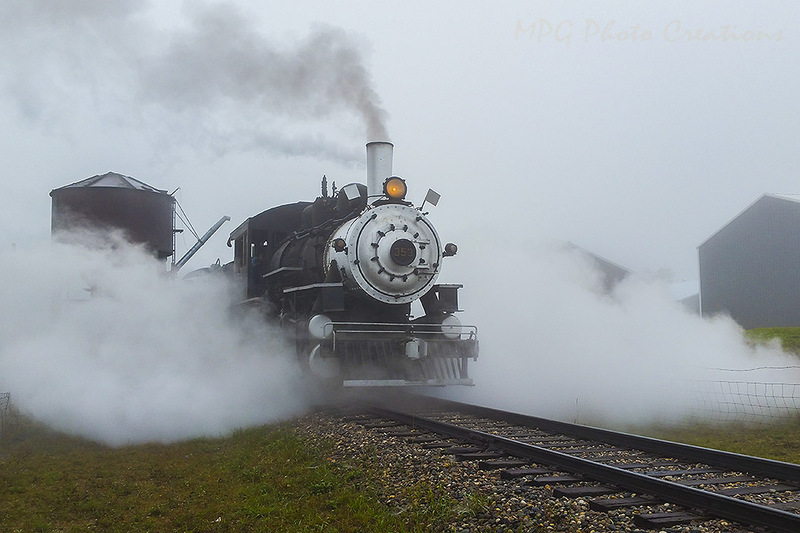 This image is from last weekend and is of the locomotive I get to play fireman on. It was just pulling out with passengers and with the misty morning the steam from the open cylinders was putting out quite the nice cloud of steam.